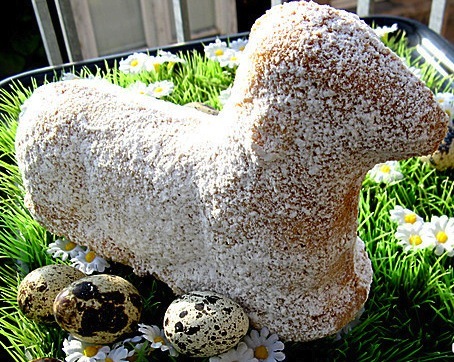 - Easter Sunday starts with a brunch that contains sweet braided bread, Lachsschinken (very tender smoked ham), and many colorful hard boiled eggs. Dinner would be lamb (braised or roast), or filled veal, followed by a dessert with strawberries like Strawberry-Rhubarb Bavaroise. German Easter is a Christian holiday and also the time to celebrate beginning of spring. Before Christianity it was an event that was celebrated when the snow melted, and the end of the winter had come. In the year 325 the Christian church decided to create the Easter tradition on the first Sunday after the first full moon. Nowadays it is still a religious event, gifts for the children, good food and the typical Easter walk - Osterspaziergang. 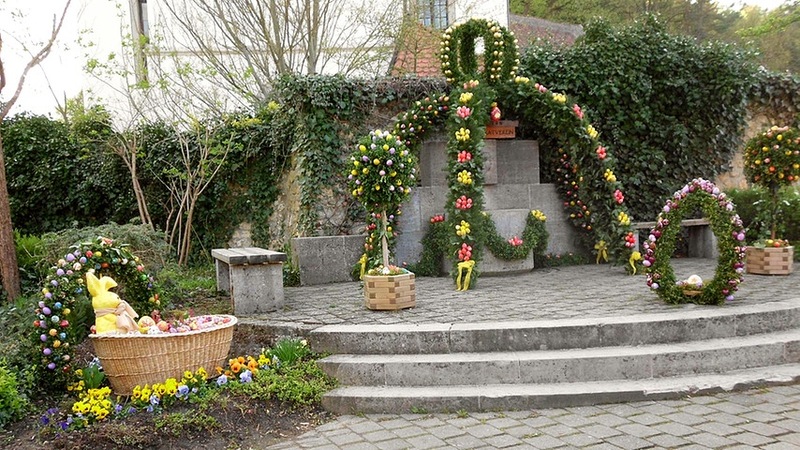 A tradition is also an Easter tree (or decorated wells and wreaths) which you can find in many villages and cities of Germany in the center or the Marktplatz. 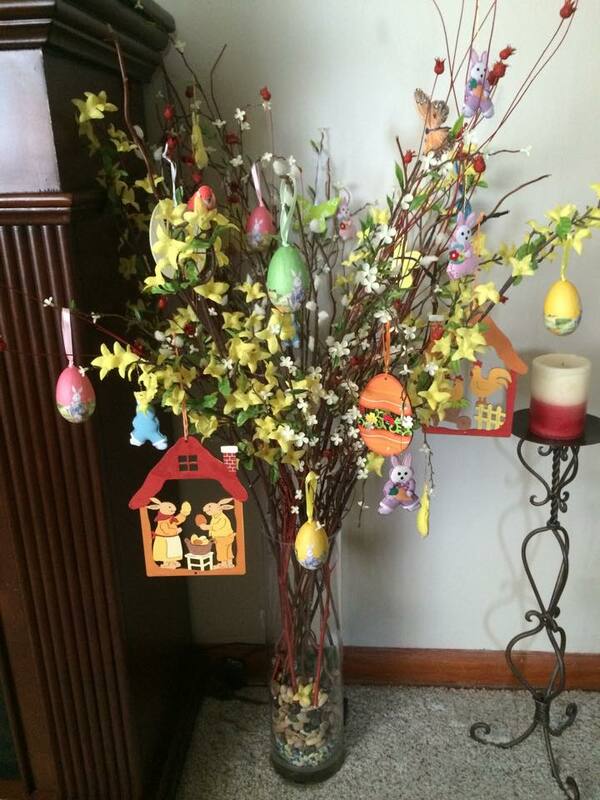 We also make our own Easter tree with hand painted or decorated eggs on branches in a vase.